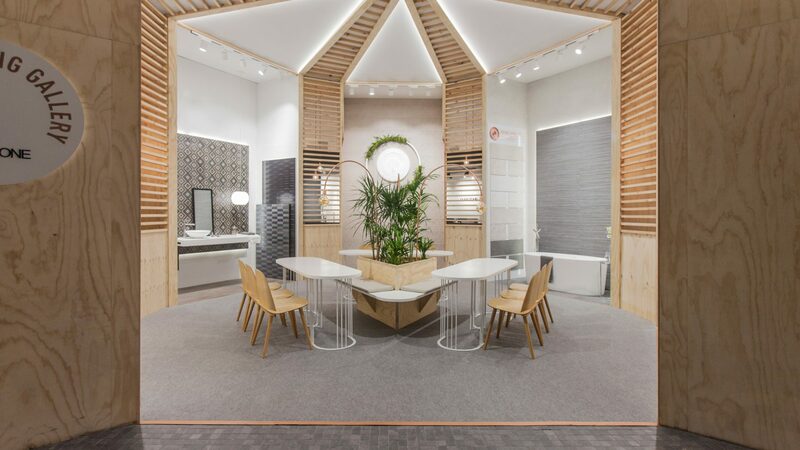 Cevisama 2018 was a new challenge for the team. 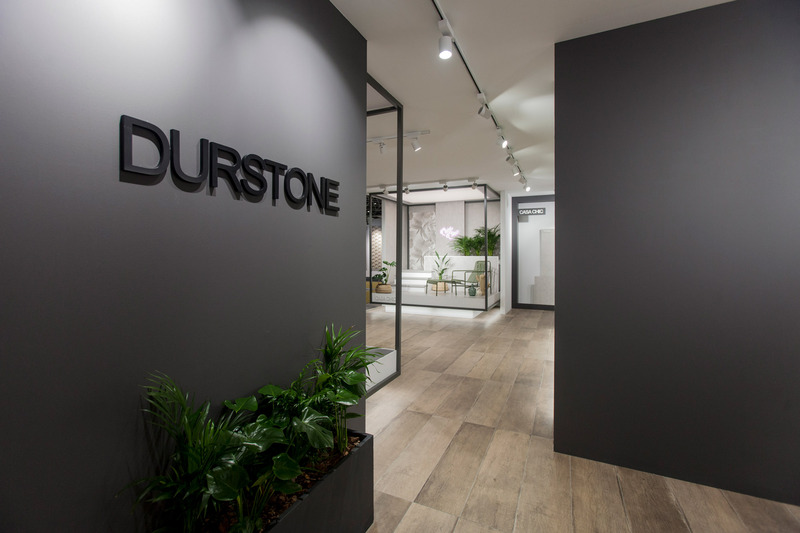 We had a 300m2 space in front of us, and the aim to design an exhibition stand that encompass the two brands of Durstone and Q. 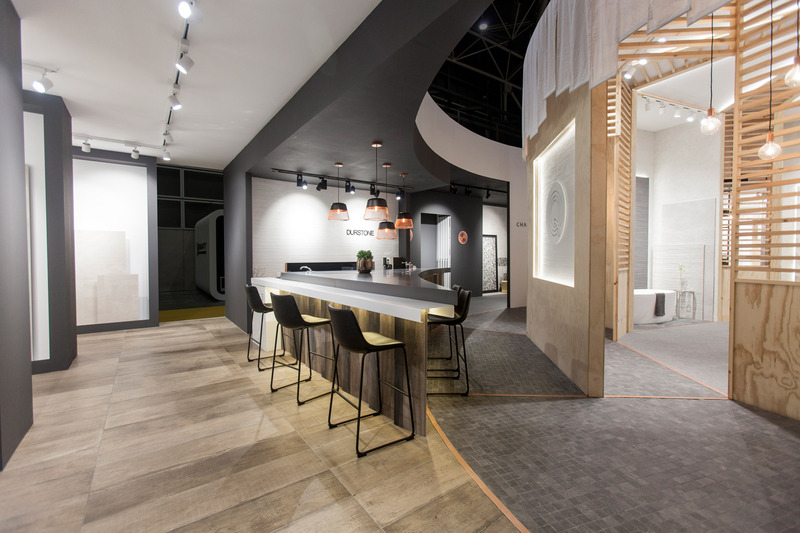 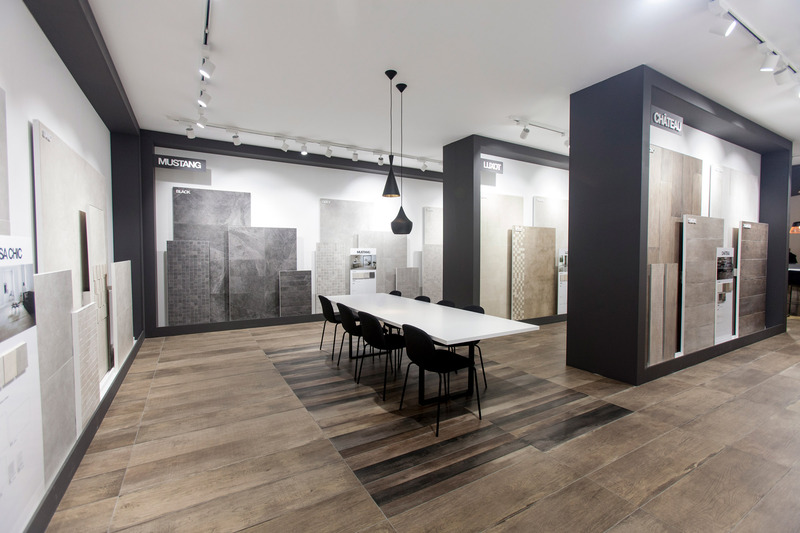 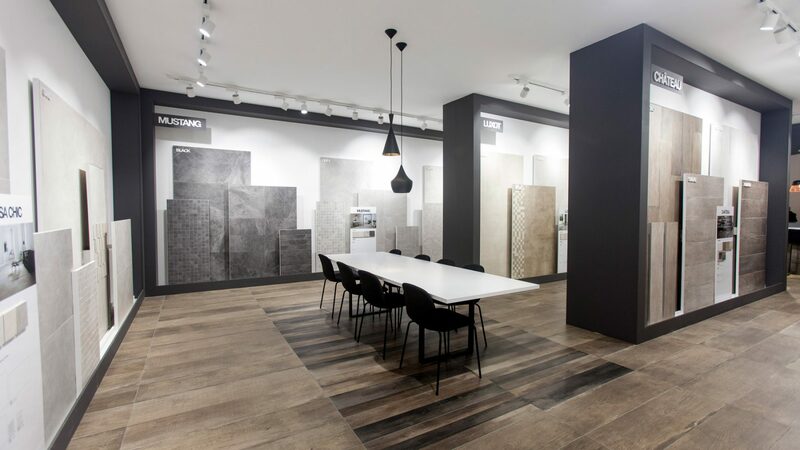 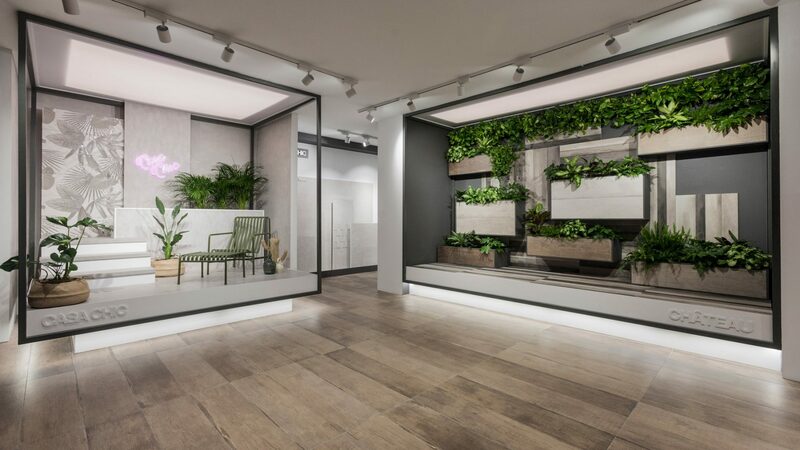 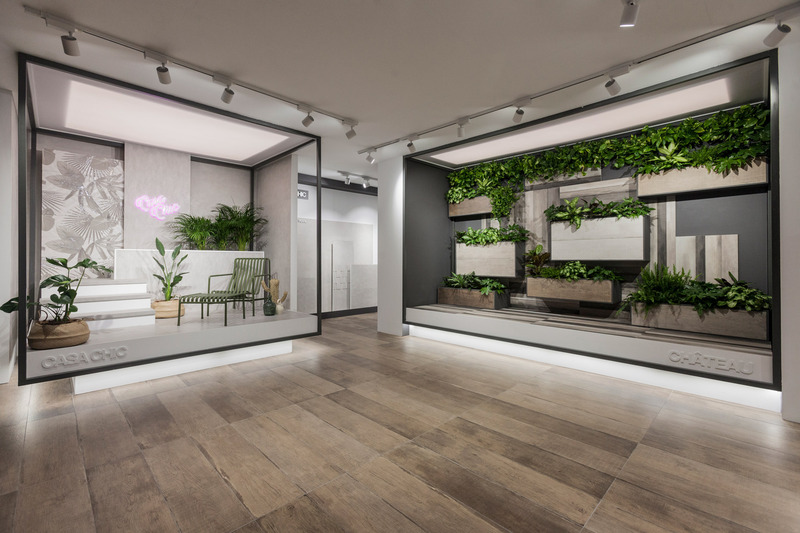 This time, the Blooming Gallery reappears at Cevisama fair with even more visibility from the outside, being the main entrance to the Q zone in the stand. 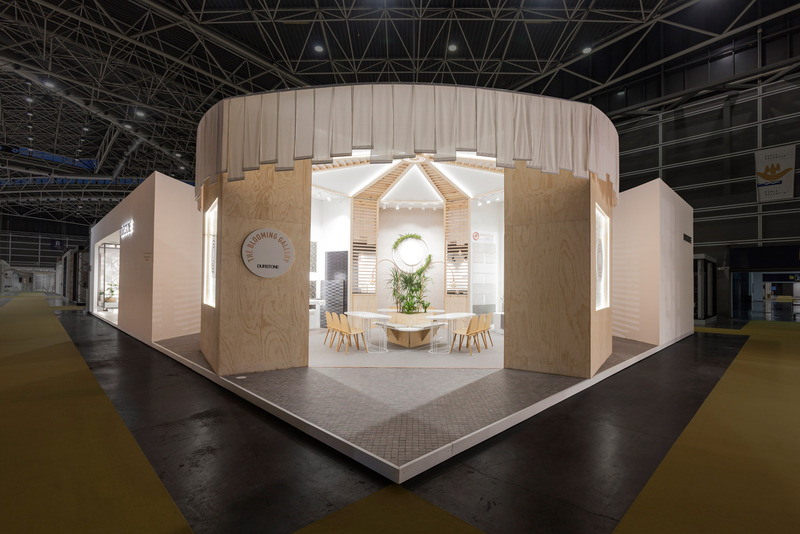 We also designed a circular corridor around the Blooming Gallery that drives the visitors along the space and takes them to the central element of the stand: the bar. 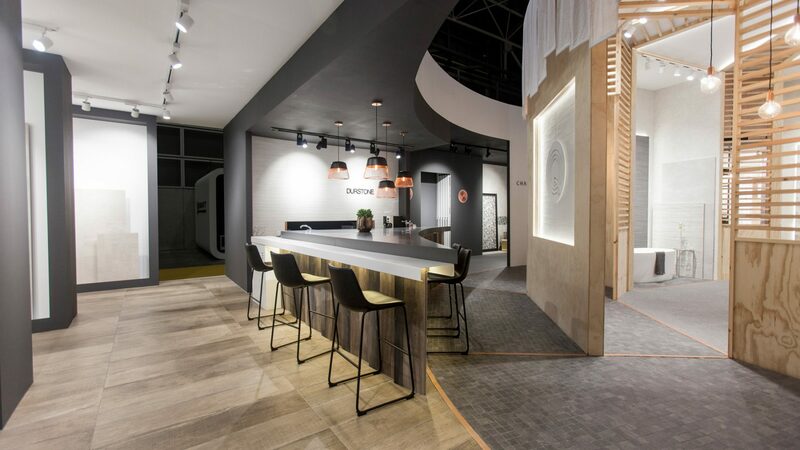 We created this bar as a structural component with an aesthetic function but it also works as a practical and informal meeting point for visitors and costumers. 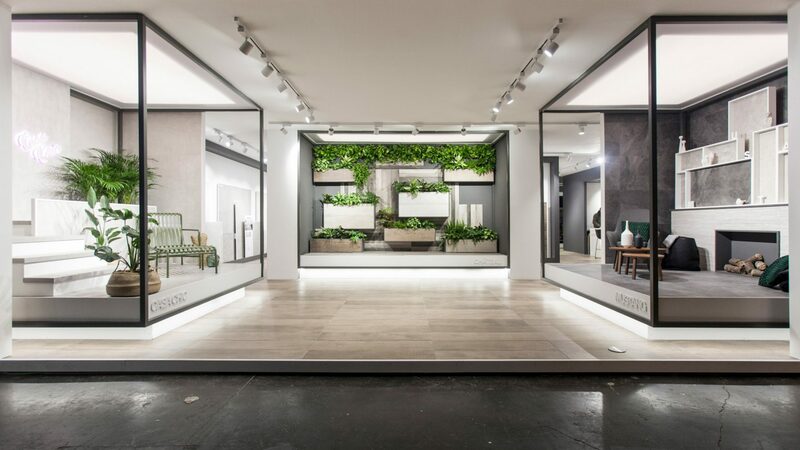 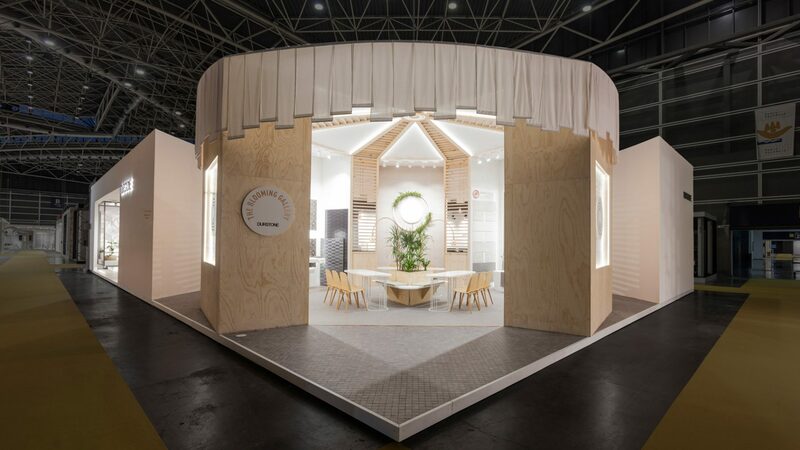 At the second main access of the stand, the attention is focused on the three scenes designed for casa chic, château and mustang collections. 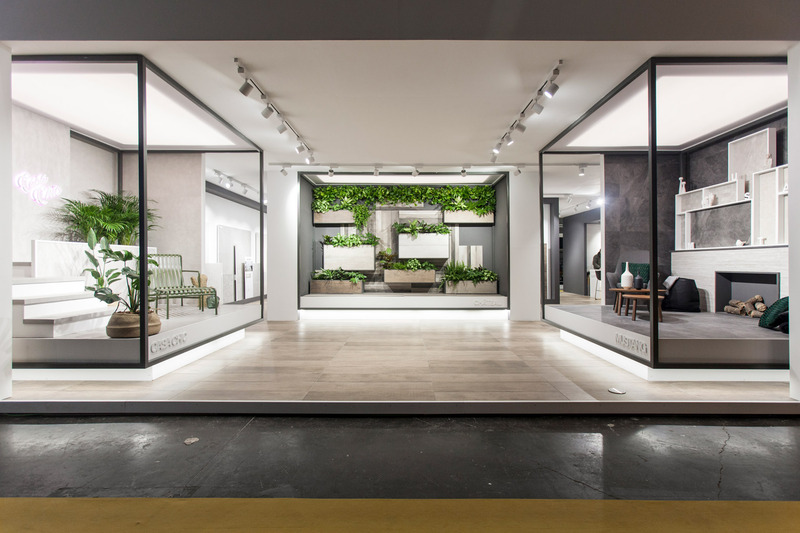 A series of elevated platforms with light boxes on and below the three exhibition areas that emphasized the sensation that the scenes remain suspended in the air. 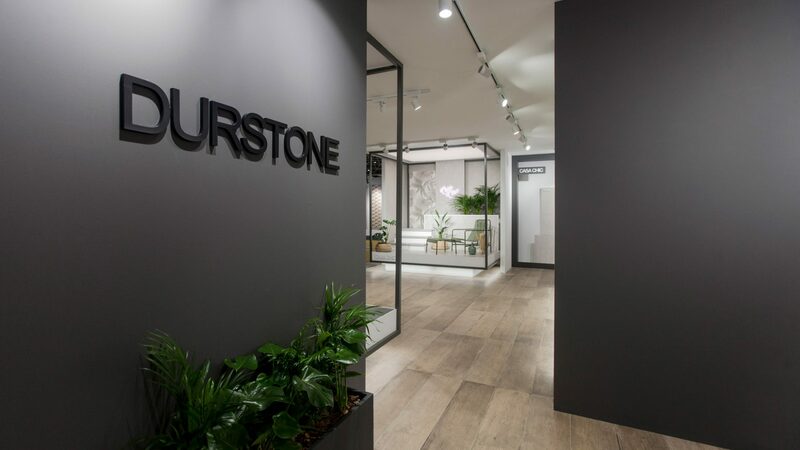 At that point we’re already inside the white and clean Durstone zone. 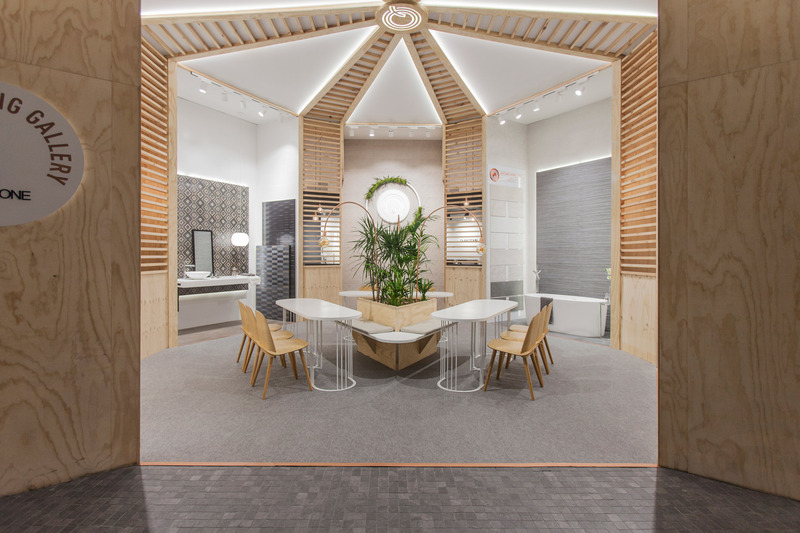 There you can find the product exhibition area with all the displays divided by collections and also a more formal meeting area. 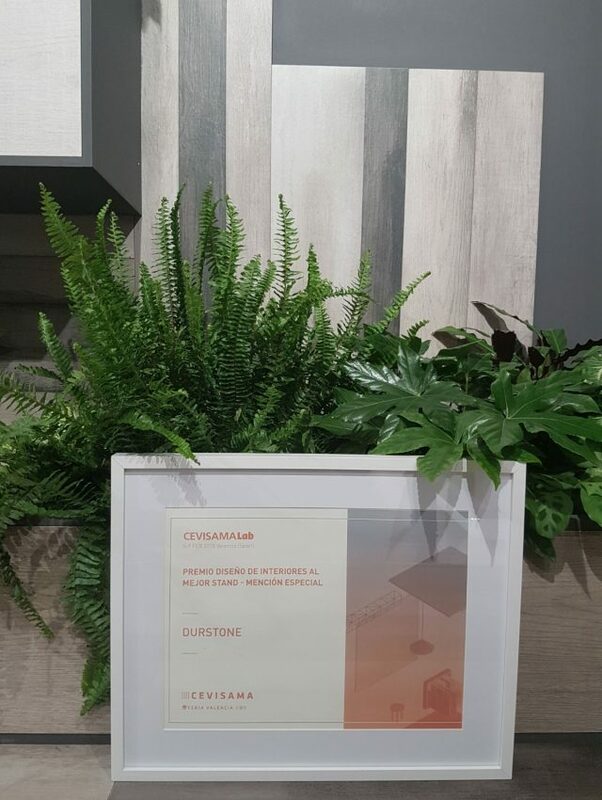 Happily this year, the organization of Cevisama recognized our interior design for this stand with a special award so definitely all the effort was very much worth.